Description : Postful’s mission is to be the bridge between the digital and physical worlds. Sending letters is now as easy as sending e-mail. For the times when you need to send a quick letter, Postful is there. 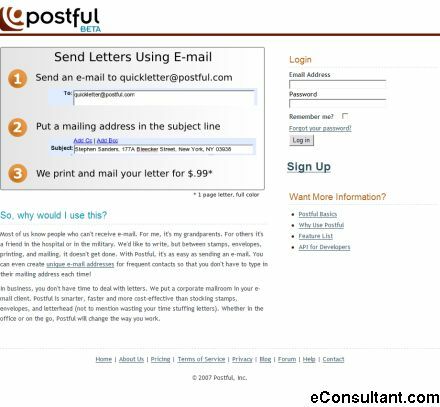 Postful connects the 65 million Americans without email access to the modern communications network. Messages can be delivered to them as easily as they are to anyone already online.